Daniel Footwear has launched a national partnership with Macmillan Cancer Support to sell specially designed bags available in all of its 25 stores including Great Western Arcade. The Daniel Footwear bag for life in support of Macmillan costs £5 and is made from hessian material, complete with a Macmillan luggage tag including information about the charity. 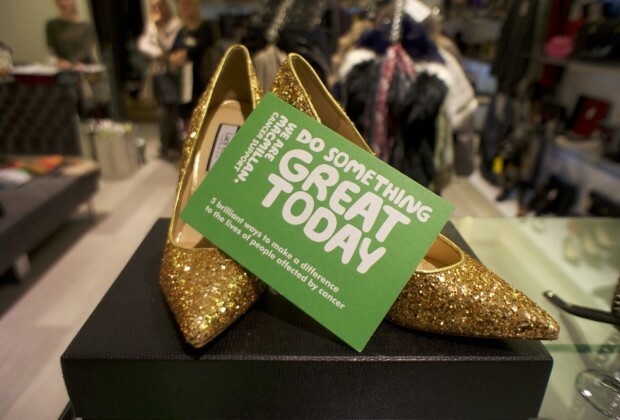 The team at Daniel Footwear have pledged to support as much as they can for Macmillan over the coming year to support cancer patients and their families when they are facing one of life’s hardest battles. Visit the Great Western Arcade store now to pick up one of these unique bags and browse the extensive footwear and accessories.